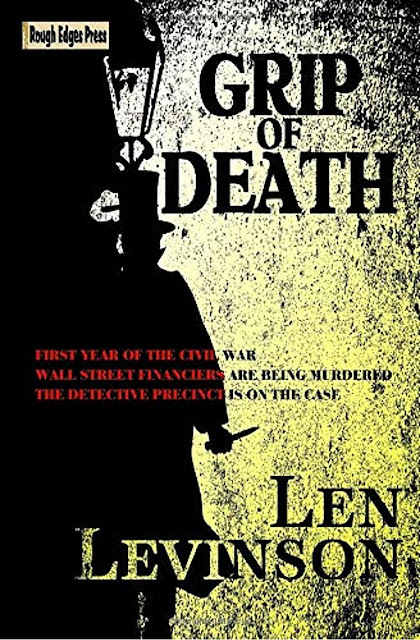 Someone is murdering prominent Wall Street financiers in New York City during the first year of the Civil War. Is the culprit a disgruntled investor? Marxist revolutionaries? A Confederate conspiracy to destabilize the Union banking system? To make matters worse, a crime wave has been engulfing New York City since the War Between the States began, as if that conflict has loosened the darkest passions in the hearts of men and women. Amidst this turmoil, the Detective Precinct is under political pressure to figure out who is killing financiers. Unfortunately, the best detectives have enlisted in the New York regiments. Out of desperation, Deputy Chief of Detectives Timothy Flanagan hires a former army officer wounded at the Battle of Bull Run, and a former Southern Belle stranded in the Empire City. Flanagan calls her his secretary because women can’t be detectives, but she carries a revolver and does actual detective work. Their investigation takes them from Fifth Avenue mansions to the dangerous slum called Five Points, from Gramercy Park to Battery Park, from fashionable men’s clubs to elegant and not so elegant whorehouses, gambling dens, the glittering Broadway theater district, and the Peyster Street docks where a man’s life isn’t worth a dead fish. Will the Detective Precinct solve the case? They dare not fail. The future of the war and fate of the nation is at stake! This looks great. I'll be picking up my copy. Is this gonna be a series?